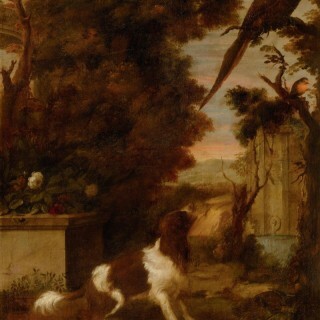 Spaniel and birds in a park landscape, the brown and white spaniel barking excitedly at a pheasant and a robin perched above in a tree, with a classical stone plinth to the left covered in flowers and foliage and a fountain to the right. 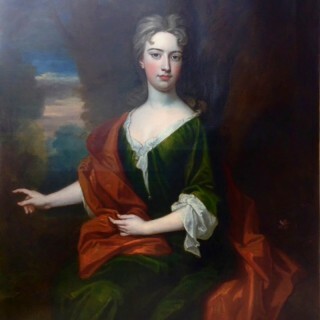 Circa 1670. Costa-Rossi Collection, Chateau de Martheray, Switzerland. ‘Beeldemaker, Adriaen Cornelisz’ Benezit Dictionary of Artists. Oxford Art Online, Oxford University Press, 2015.